I was having a terrible day last Wednesday. Then I met with M. Kidwell for a process review of my book cover designs and he said something that made my day. Your books are so full of meaning, it makes me sick; normally you would punch somebody in the face for a statement like that, but I knew it was laced with love. My feelings would best be expressed by the words of Jo March in the book Little Women when she stated, I should have been a good many of things. One of the good many of things I should have been is, a dancer. (For Pete’s sake, I can jump as high as a deer). Gymnastics was my passion for many years; I meant for it to spill into dance, but never made the move. I suppose that is the best segway I can think of at the moment; the subject of my books are, dance. 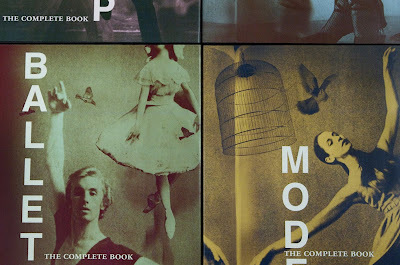 My images are vintage, yet The Complete Book text suggests a thorough look at past and present. I added a san serif font to allude to the modern as well. To establish cohesion with the book designs, I added an image of the dancer in action as well as a symbol to thicken the meaning of the initial read. 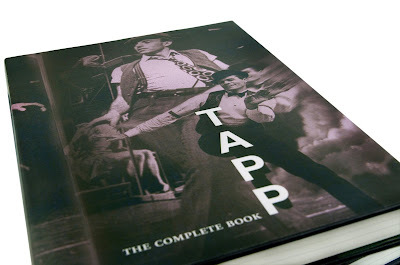 From my perspective, tapp is a fast moving dance style. 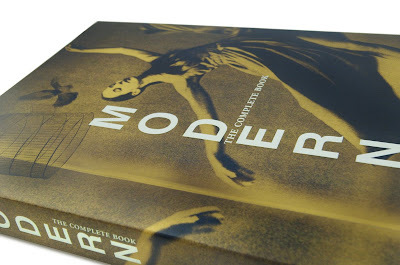 In the bottom right area of my book cover, I placed a dancer with a motion blur trailing behind. The symbol is bellowing smoke following his path. Since Modern dance exudes freedom, the symbol I chose is a bird escaping from a cage. 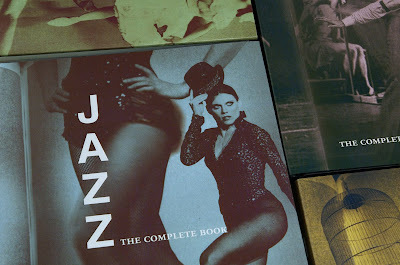 For my Jazz cover, I duplicated and blurred the leg behind the title to suggest a kick in action. The secret symbol is glitter and sequence. Lastly, for Ballet, a very strange headless dancer exists in the background; I placed a motion blur beneath her to exaggerate a ridiculous leap. Symbols include birds flying around her. I love the jazz cover. Very artistic and it really does look like the leg is in motion because of the blurred leg. The headless dancer is a nice touch as well. She must have jumped very high.